When it comes to Springtime, the soft colors of mint and peach are definitely two colors that come to mind. 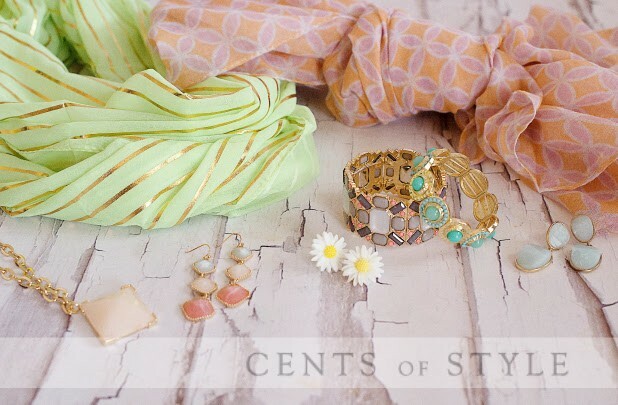 I love wearing spring colors in my accessories – like scarves and jewelry – and Cents of Style is here to help you look Springy today with their Fashion Friday sale! 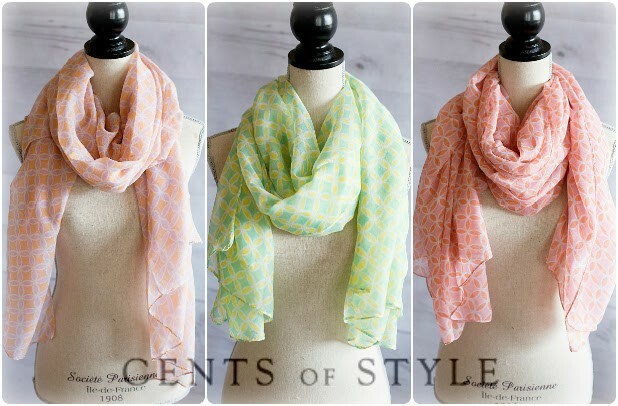 Today only, Cents of Style has mint and peach accessories for 50% off and FREE SHIPPING with the coupon code PEACHY, plus free shipping. 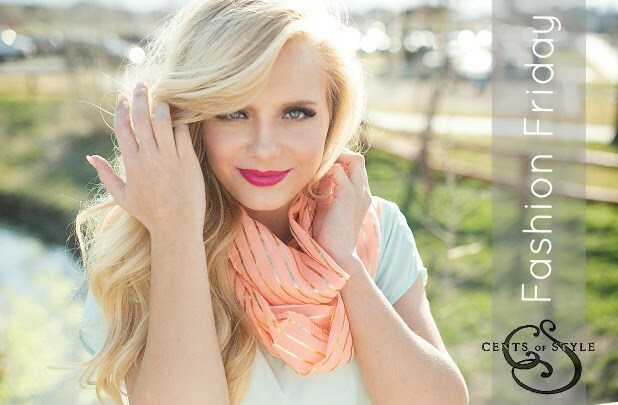 Everything in the Fashion Friday sale is half off including the Easter Infinity Scarf pictured below. Reg. Price- $19.95, Sale Price- $11.95, Fashion Friday Price- $5.95 SHIPPED. Flower Stud Earrings – Reg. Price- $12.95, Fashion Friday Price- $6.47 SHIPPED. Peach & Mint Ballet Flats- Reg. Price- $32.95, Fashion Friday Price- $16.47 SHIPPING. Don’t miss out and shop the sale early before items you want sell out! Head on over to the Cents of Style Fashion Friday sale HERE. Previous articleJoin the #PeterSomForKohls Twitter Party Today, April 3rd!